Spark plugs have been around for over 100 years and still perform the same function that they originally were designed for. In fact, a sparkplug from the early 1900s looks almost the same as the one they make today. In this article, we will take a deeper look at these devices. 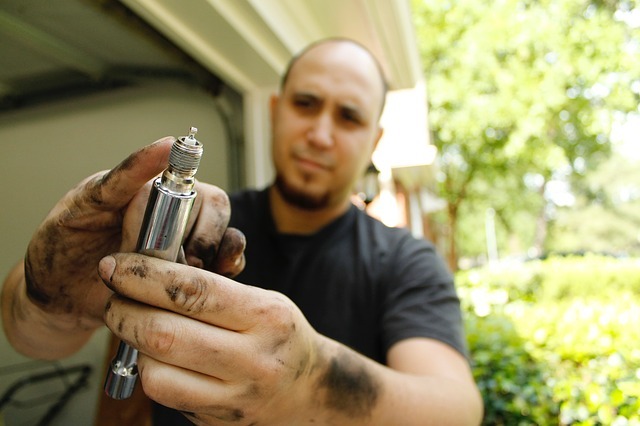 Spark plugs perform a relatively simple function: to fire the air/fuel mixture in an engine. Here are the details: A spark plug is connected to the high voltage electricity generated by an ignition coil. As current flows from the coil and down into the spark plug, a voltage develops between the central and side electrodes on the tip of the spark plug. Initially no current will flow but as the voltage rises further it begins to change the structure of the gases in the gap. Once the voltage exceeds the dielectric strength of the gases, the gases become ionized and electricity jumps across the gap. This “spark” then ignites the air fuel mixture in the cylinder which drives a piston down. We learned something interesting from our subject matter experts, Susquehanna Chrysler of Wrightsville, a local Dodge, Chrysler Ram, Jeep dealer in Wrightsville, PA. It’s that spark plugs require voltages of 12,000–25,000 volts or more to jump electrode gaps. And as the current of electrons jumps the gap, it raises the temperature of the spark to 60,000 K which is 6 times the surface temperature of the sun! This intense heat in the spark channel causes the ionized gas to expand very quickly, like a small explosion. This is the “snap” sound you hear when observing a spark plug in operation. A spark plug has a metal-threaded jacket which is electrically isolated from a central electrode by a porcelain insulator. The metal jacket is designed to withstand the torque of tightening the plug and serves to remove heat from the plug assembly. Plus, it is the ground for the sparks passing through the central electrode to the side electrode. The metal shell is screwed into the engine’s cylinder head. A central electrode protrudes through the porcelain insulator into the combustion chamber, forming one or more spark gaps between the inner end of the central electrode and the inner end of the grounded threaded shell. The top of the spark plug contains a terminal to connect to an ignition wire. The exact terminal construction varies depending on the use of the spark plug. Most standard spark plug wires snap onto the terminal of the plug, but some wires have eyelets which are fastened onto the plug and are secured with a nut. The white section of a spark plug is an insulator typically made from sintered alumina, a very hard ceramic material with high dielectric strength. Its major functions are to provide mechanical support and electrical insulation for the central electrode, while also providing an extended spark path for flashover protection. Because spark plugs thread into the cylinder head of an engine, seals are required to ensure there is no leakage from the combustion chamber. The external seal is usually a crush washer, but some manufacturers use the cheaper method of a taper interface and simple compression to attempt sealing. At one time, it was common to remove the spark plugs, clean deposits off the ends, either manually or with specialized sandblasting equipment, and file electrodes to restore the sharp edges. This practice is extinct today. The development of noble metal high temperature electrodes (such as yttrium, iridium, tungsten, or palladium) allows the use of smaller center wires, which have sharper edges that will not melt or corrode away. The result is that today’s spark plugs last up to 100,000 miles before replacement. In the old days, it was more like 20,000 – 30,000 miles.